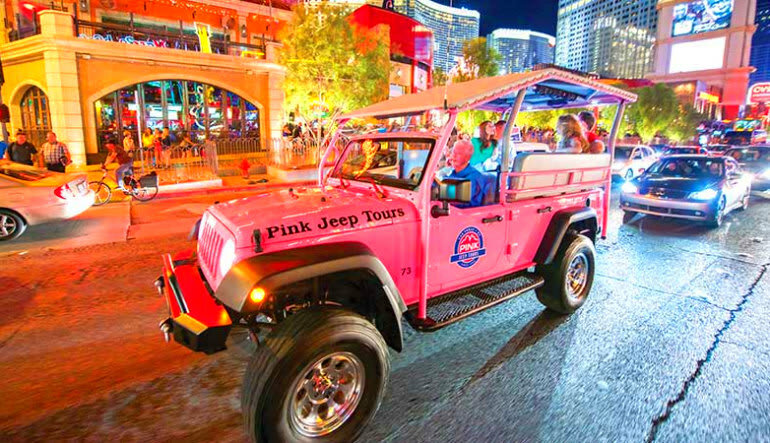 This Las Vegas night tour not only takes you to the Strip’s hottest spots but also lets you travel in style—kick back with your posse in a luxury, open-air Jeep! As the sun dips below Sin City’s horizon, neon lights electrify the Vegas Strip so powerfully that even the International Space Station takes notice! 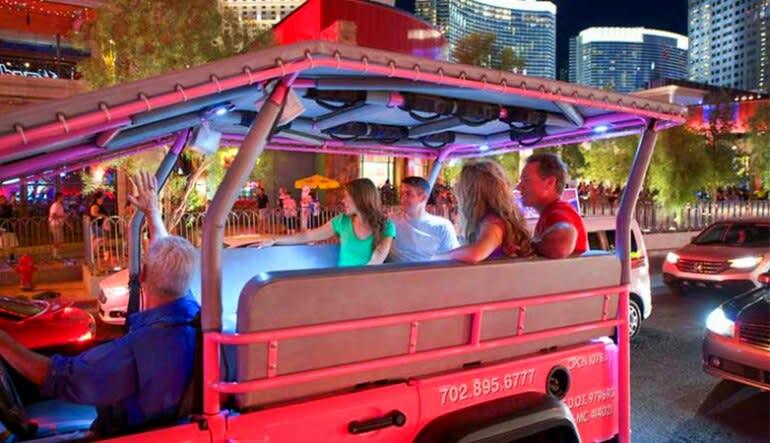 This Las Vegas night tour not only takes you to the Strip’s hottest spots but also lets you travel in style—kick back with your posse in a luxury, open-air Jeep! Accompanying every stop, Vegas lore is narrated by your first-rate adventure guide. Learn all about the architecture, the people and the urban legends that helped put America’s Playground on the map! 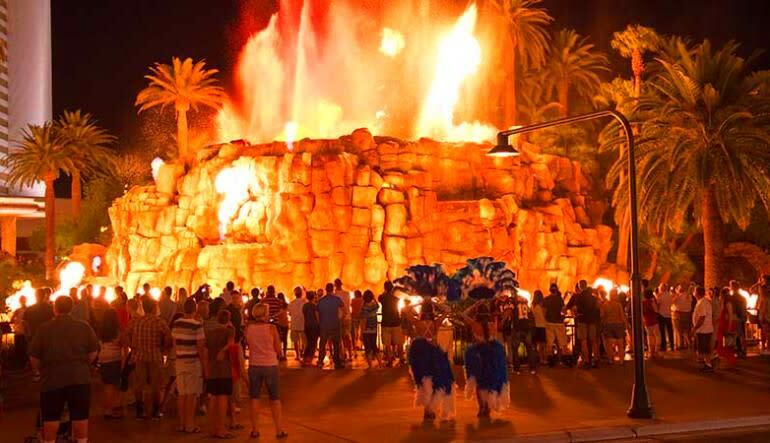 Take a 3.5-hour Las Vegas Strip night tour! Travel first-class in an open-air jeep! Snap photos by the famous “Welcome to Fabulous Las Vegas” sign! Drive past the Gold and Silver Pawn Shop of Pawn Stars fame! Travel to Wedding Chapel Row and wave to all the newlyweds! 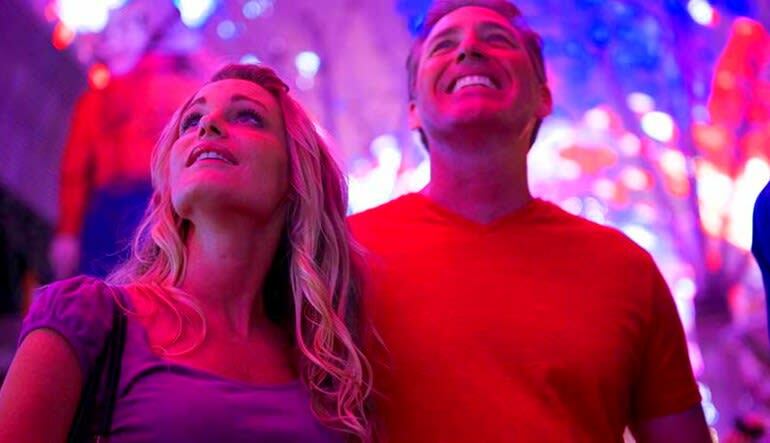 Cruise around Freemont Street and be awed by its architecture and 12-million neon lights! Learn all about the Strip’s past, present and potential future from your all-knowing guide! Bright lights, big sights and luxury cruising make this tour one of Vegas’s shiniest gems. Book your Jeep adventure now!